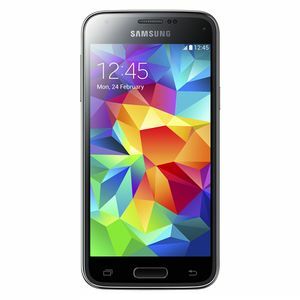 The Samsung Galaxy S 5 Mini was announced by the South Korean manufacturer in July 2014. It is a cut down version of the flagship Galaxy S 5. The S 5 Mini has a 4.5" Super AMOLED 720 display, quad-core 1.4GHz processor and 1.5GB of RAM. The camera is around half that of the Galaxy S 5, coming in at 8MP. Internal storage is available in 16GB or 32GB and can be increased with a microSD card. The S 5 Mini, like the S 5, is dust and water resistant, has a fingerprint scanner and also has a heart rate monitor. The device is powered by a 2100mAh battery.